I have always been a fast eater and could finish a lunch at work in time to do errands and be back at my desk on time. But it was no pleasure and was fast, crowded and many times expensive. Now that I am retired, at home and flexible, I have discovered a simple pleasure that I frequently look forward to: going out for lunch. No I am not talking about the retirement lunch when you are leaving a company. I am talking about going out for lunch after you have retired. There are several pleasures / benefits of lunch retirement lifestyle. It is an opportunity to get out of the house and to socialize, even if it’s only with the waiter. Inviting friends to lunch is a pleasure that I look forward to. Meeting friends who you used to work with is a great way to keep in touch. Meeting other retirees for lunch is especially nice since you can meet any time any where and take as long as you want to really have an extended social visit. Lunch retirement style is leisurely not rushed nor crowed. You can lunch at after 1 pm when others are returning to their offices. Lunch at a nice restaurant is often way cheaper than the dinner. In addition, many restaurants offer small plates or you can share an entree. 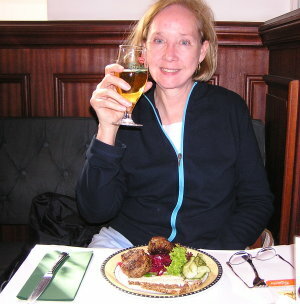 Lunch retirement style allows you to try different restaurants. You don’t have to be back at a set time so you can wonder a few miles away without worrying you will be late. You can become a restaurant critic of sorts, advising your working friends of places they should try. So reclaiming your lunch retirement style is a small but rewarding benefit I have noticed about the retirement lifestyle.